Network Fun!!! -- A Security/Network Engineer's Blog: Cisco Nexus: "%ARP-3-DUP_SRCIP_PROBE: arp  Duplicate address Detected. Probe packet received from"
Cisco Nexus: "%ARP-3-DUP_SRCIP_PROBE: arp  Duplicate address Detected. Probe packet received from"
What appears to be happening is that the 3750Xs are sending out some type of check. Not sure exactly what at this point, as Im still researching it, but it sends these messages for device tracking. The 6509E passes that traffic right on over to the Nexus (at layer 2, not 3). So the Nexus doesnt like that for some reason and logs it. TAC says its a compatibility thing, but Im not sure still. So here is what I did to fix it, on the 3750Xs, not the 6509E. Nothing was done on the 6509E, only on the 3750X uplinks TO the 6509E. 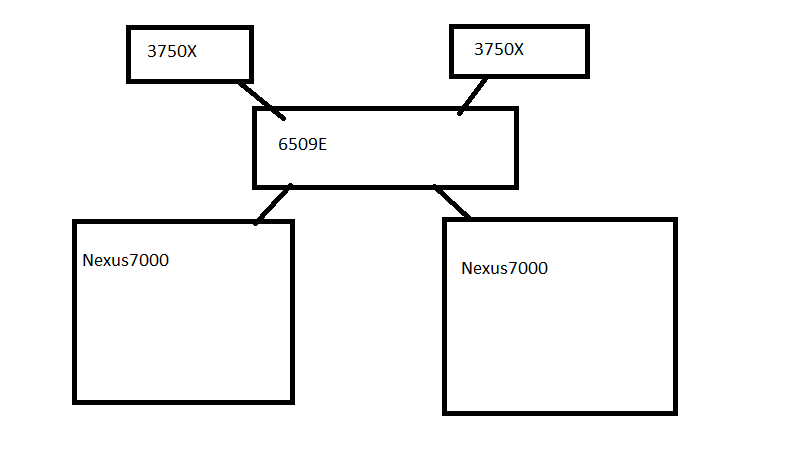 I did this on both the 3750Xs and this stopped the log entries on both Nexus devices. I still need to find the reason this happens, but this is the fix so far. Thank you this fixed an issue I had with Nexus 7K and 3850's. Dinan, was your issue with DHCP NAK's / Bad Addresses, by any chance? Did you find out what could cause that kind of problem?